One of the most intriguing new product categories on the horizon is the range of products in the burgeoning hemp and CBD industries. Hemp and CBD have taken the personal care and wellness world by storm over the past few years, with myriad new product launches across all major industries. The 2018 U.S. Farm Bill recently signed by President Donald Trump allows the transfer of hemp-derived products across state lines for commercial or other purposes. It also removes all restrictions on the sale, transport, or possession of hemp-derived products, so long as those items are produced in a manner consistent with the law. The forecasts of the potential profits are staggering. A recent article in NACS, a trade magazine covering the convenience store industry, cites cannabis analytics company New Frontier Data, which estimates the cannabis industry could cumulatively generate $105.6 billion in federal U.S. tax. 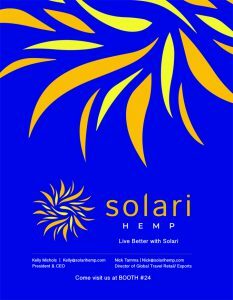 Colorado-based Solari Hemp intends to be in the forefront of this industry and the first to bring its high-quality product range to travel retail. The effort is being spear-headed by Nick Tamma, one of the most experienced and recognized figures in the TR industry, especially in the Americas. Tamma will be available to speak with attendees at the Orlando Summit of the Americas about the exciting potential ahead. “Our company is aiming to be the standard setter as it relates to the hemp business,” says Tamma, who along with company CEO Kelly Michols spoke with TMI about this new industry. Tamma and Michols explain that Solari will be producing the highest quality products throughout its range, which include liquids, soft gels, topical balms and lotions, creams, and a gummy product. “The primarily point of difference about Solari is that we are ‘seed to shelf,’” says Tamma. Michols, whose consumer goods background includes both nutritional supplements and tobacco, also has spent the last 4-5 years doing governmental affairs work in the tobacco industry. He admits there are many people who are creating hemp and CBD products without a full understanding of where their ingredients are coming from, which has the potential to undermine consumers’ confidence in the authenticity and efficacy of the products. Solari knows everything about its products as they control each step of their life cycle of growing it, extracting and manufacturing the products under very stringent standards and supported by testing throughout the process. Solari tracks each plant and knows each gene type that goes into every batch of product to guarantee the efficacy of the Solari Hemp product range. Consumers can buy with absolute confidence. 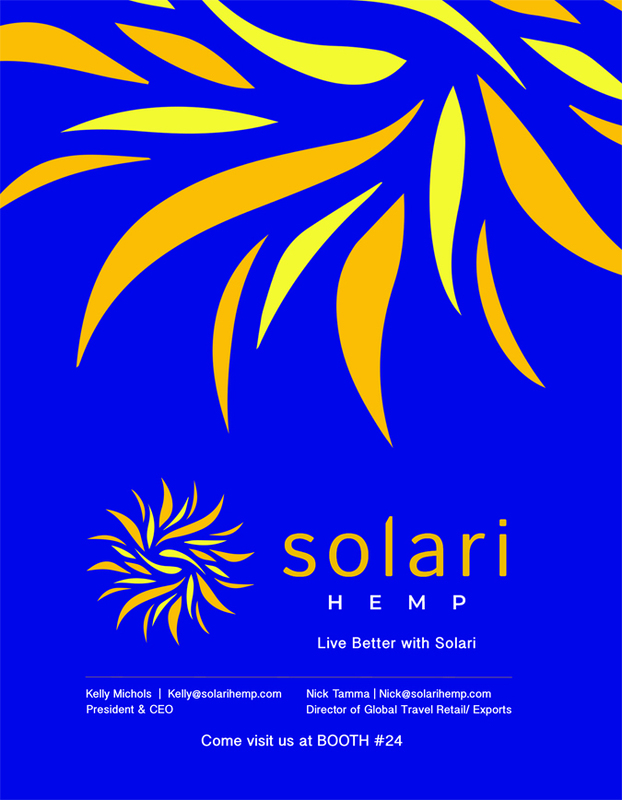 Solari will set the standard with its Hemp product ranges which guarantee “Solari Hemp” inside. The company has an extensive amount of farmland in Colorado managed by farmers who are very experienced hemp growers. They deeply understand the complexities of successfully growing hemp including all the challenges that come along with harvesting the plants. Solari will plant 150 acres this year, harvest its own product, and move it immediately into its own extraction and distillation facility onsite at the farm. “The fact that we can have custody of every step of the process of creating our Hemp products, from the time that we put a seed in the ground to the time that we deliver the products, ensures the quality of our products for travel retail. We monitor our processes and test continuously to assure that the quality and the safety of the product are unparalleled. Solari’s goal is to always do things the right way and be the industry leader at developing standards for Hemp and CBD,” he continues. How will this work in travel retail? Michols says that Solari is exhibiting in Orlando to show the industry what the company can bring to the operators when their markets are ready. 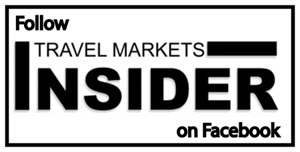 “We want to be the first to bring a high-quality Hemp (and CBD product) to the travel retail industry,” enthuses Tamma. “Vancouver, Seattle, Toronto and many of the Border Stores are just a few in a long list of operators that are eager to embrace the first mover advantage in this new category of sales. Solari is destined to be a global leader in the Hemp and CBD space, and we are excited to be at the forefront in TR and responsible for global exports,” said Tamma. According to a recent in-depth report in Cosmetics Design, CBD is one of 113 identified cannabinoids found in cannabis plants. It contains anti-inflammation properties, essential fatty acids and vitamins A, D and E, giving it a broad range of skin care applications. It contains only minute amounts of the Tetrahydrocannabinol (THC), the substance that makes one “high,” associated with smoking or ingesting cannabis. CBD has to be made from industrial hemp, and the oil generally has very low levels of THC.